On January 19, 2017, CCM and Tranalysis offered a free webinar for the market trend of sugar and sweeteners in China, 2016. CCM now gives you the chance to read the script once again. CCM has also uploaded the recorded video of the webinar on YouTube. Subscribers of our YouTube channel China Sugar and Sweeteners webinar will be informed per email, whenever a new video about China's sugar and sweetener market has been uploaded. Many factors are affecting the sugar and sweetener market in China recently. Environmental health policies are limiting the production of sweeteners in China. Also, a Pollutant Discharge Licensing System is being implemented, which will without any doubt influence the sweeteners industry in China ones more. The financial performance of Chinese sugar manufacturers varied greatly in Q3, resulting of increasing production costs, rising sugar price, and decreasing sales volume. 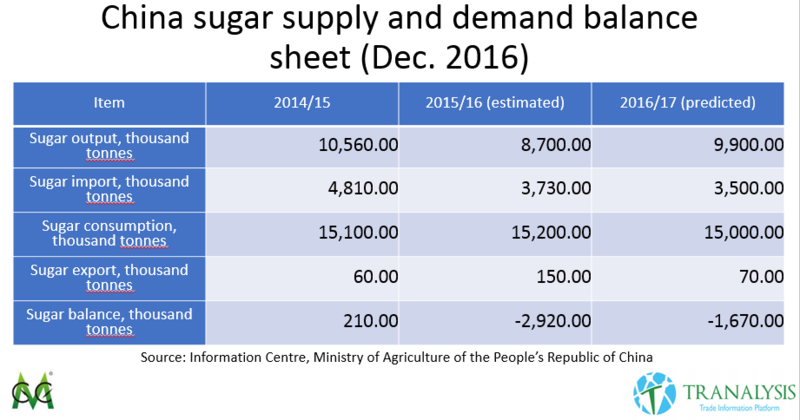 In 2015 and 16 the planting area of sugarcane in China decreased, leading to a shortage of sugar, which is the main reason for the current high prices. First, you will see insights in the overall market situation of sugar and sweeteners in China. Furthermore, some information about the current pollution measurements and production reductions are explained. Then you see information about some enterprises performance in Q3 2016. Finally, the export trend of two important sweeteners 2016 will be revealed. At the beginning, have a look at the Ex-works price of some sweeteners in China, November 2016. It shows, that the overall development for most of the products didn’t change very much compared to October. Only Mannitol experienced an outstanding increase of 16.52%. During the last year, the planting area of sugarcane did decrease. This causes a higher purchase cost for the sugar producers, due to shorter supply. Additionally some heavy rain during that time also reduced the quality of sugarcane, increasing the cost of sugar manufacturing ones more. 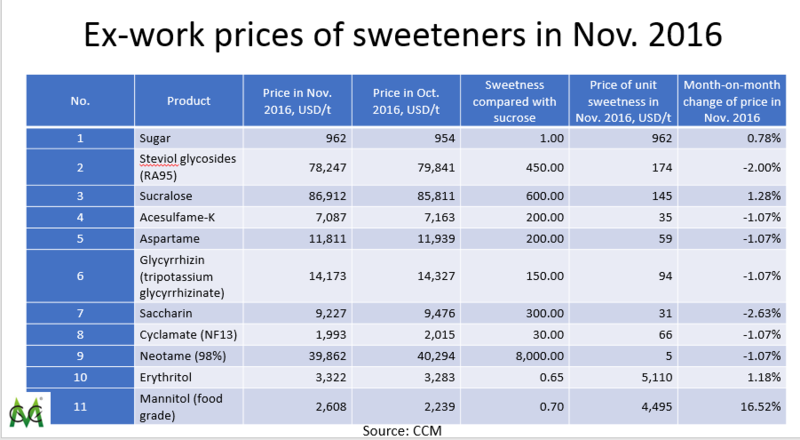 The increasing costs even exceeded the increasing prices of sugar, which actually led to losses for many manufacturers, according to CCM’s analysis. Downstream users searched for substitutes for the more expensive sugar in China, also led to a declined sales volume. CCM furthermore predicts, that the sugar price will continue rising in China. The reasons are a depreciating RMB, limited growth of the sugar output in 2016 and 17 as well as expected decreased imports. However, the price rise will be limited, due to the launch of the national sugar reserves, the new production of sugar in the coming period and more substitutes for sugar. It is expected, that 56.65 million tonnes of sugarcane and 5.7-5.9 million tonnes of white sugar will be produced in China in the season 2016/17. The new import tariff of sugar is deciding, how the sugar price will develop. For an increased tariff with expected growth, the sugar price will stay high in China, due to tight sugar supply. But new supply and substitutes will keep the prices limited. For an increased tariff but slow growth, fluctuations in price are possible with higher price than the world market. For the unlikely case the tariffs are not raised, sugar price will fall. The inventory in China is historically low with an amount of 203,700 tonnes in October 2016. 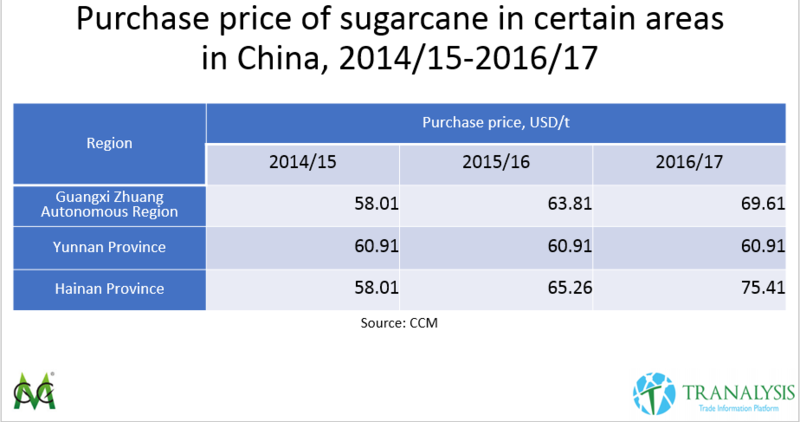 The purchase price of sugar in three different regions in China show the development of increasing prices in China. Globally analysed, the sugar shortage is going to reach 6.2 million tonnes 2016/17, what would represent a record high. This is mainly due to Brazil’s peak extraction period at the moment. 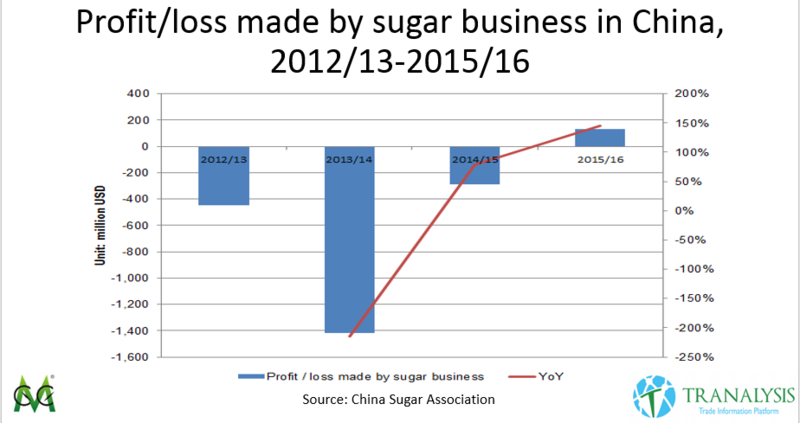 As a result, after loses in the last three years, sugar makers in China are going to make profits in this season. CCM believes, that this trend will go on for the season 2016/2017. Sucralose experienced an increase of over 100% in 2016, mostly caused by short supply because of environmental protection and the resulting price rise. It is expected, that manufacturers grow their production to balance the short supply, which will shrink prices again. 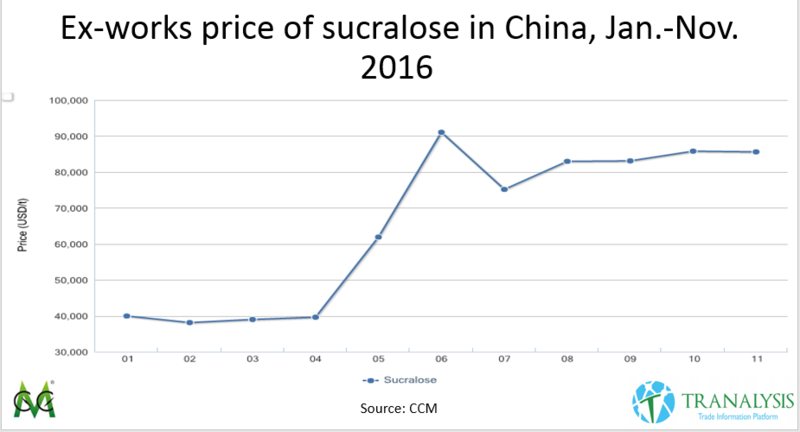 The case of JK Sucralose’s production suspension demonstrates the short supply situation of sucralose in China 2016. It even led to a lack in inventory for many companies. The company had to reduce production because of the order from the Environmental Protection Bureau of Jiangsu Province, stating, that the wastewater treatment of the facility didn’t meet standards. JK Sucralose is the largest sucralose manufacturer in China and the second biggest in the world, with capacity of 2,000 t/a, so the suspension of his production had a huge impact on the supply situation in China. The reduction affected about 40% of production, which makes the producers still larger than competitor’s production. According to CCM, the ex-works price of sucralose was USD86,912/t in November 2016. That’s just a 1.28% rise MoM, but more than 100% compared to January 2016. The fastest growth took place in June with 56.25% increase alone. Since sucralose is made of sugar, the increasing sugar price is affecting the sucralose price immensely. According to sucralose manufacturers, a further price rise of sucralose is very likely, if the sugar price keeps rising as well. Sucralose manufacturers are going to expend their production of their product in the future, to balance out the short supply and make more profits out of this more profitable product. After looking at some market trends, let’s have a look at the environmental protection measurements, that are affecting the price of sweeteners decisively in China. Since Jan. 2015 when the new Environmental Protection Law of the People's Republic of China was implemented officially, the government had increased focus on environmental pollution. All this forced sweetener manufacturers to limit or suspend production. In July 2016, JK Sucralose Inc. was ordered to suspend production for its substandard discharge of wastewater. Though it resumed production at the end of September, the output was small. 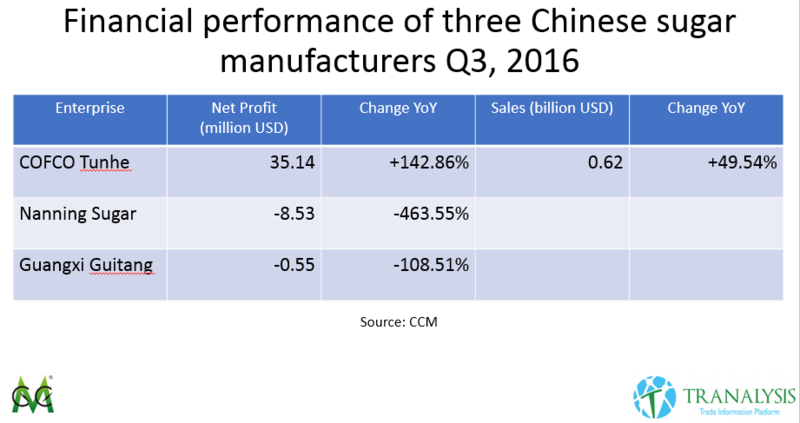 Notably, many enterprises were not operating at full capacity, according to CCM's research. Environmental pressure takes place in many sweetener industries in China. CCM has surveyed some manufacturers to get insights into the effects on their industries. As mentioned before, sucralose suffered a production reduction mainly based on the order to JK Sucralose. But also other producers like Anhui Jinhe are affected by stricter laws and have to make big investments in waste discharge solutions. The treatment of wastewater from the production of sucralose needs large quantity of funding and specific equipment in general. Also, besides the big investments most of the producers cannot use their full production capacity, due to environmental issues. Currently, Shandong Kanbo Biochemical is the biggest supplier of sucralose with a capacity of 4,000t/a. Natural Sweeteners like Steviosides, Mogrosides, and Glycyrrhizin are also affected by production restrictions. The high industry sweeteners in China, like Acesulfame-K and aspartame are suffering low profits currently. Also affected by the environmental policy, especially small manufactures have even cut their whole production, not able to afford the equipment for the required wastewater treatment. The environmental pollution effort also includes the enlargement of so-called pollutant discharge licenses, which will likely have a negative effect on Chinese sweetener producers. The measurements come into action because the quality of air and water in many regions have not achieved the standard value for a long time. The new system is supposed to clear out past vagueness and will be supervised more strictly. CCM has listed the key measures from the proposal of November 21, 2016. According to CCM, the sweetener industry may be impacted, too, looking at high pollution manufacturers especially in the high-intensity sweetener business. These include for example the production of sucralose. Looking at the small enterprises, who cannot afford the treatment equipment necessary for the license and bigger manufacturers with their production likely being reduced, the whole output of the sweetener industry in China may decrease the next years notably. The financial performance of China’s sugar manufacturers had large varieties in Q3, 2016. It was mainly resulting of increasing production costs, rising sugar prices, and a decreasing sales volume. The big winner was COFCO Tunhe with a Sales increase of 49.54% YoY and a net profit increase of remarkably 142.86% YoY. The reasons for the big success, according to the company, was the rebounded sugar price. Other companies like Nanning Sugar and Guangxi Guitang on the other hand did write down losses in 463.55% and 108.51% YoY respectively. They are explained by high costs and a decreased gross profit margin. 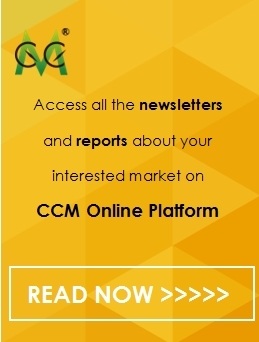 According to CCM the number of sugar plants in operation as well as the daily extraction capacity are more in this season compared to the season last year. Therefore, the sugar output is likely to grow again, due to increasing sugarcane supply and an enlarged planting area. The Ministry of Agriculture in China stated a rose of sugar output of 1.20 million tonnes up to 9.90 million tonnes in December already. Anyway, the worldwide sugar shortage of estimated 2.63 million tonnes 2016/17 also has its impact on China, leading to decreased imports to China of 3.5 million tonnes. Looking at the consumption of 15 million tonnes and exports of 70,000 tonnes, China’s sugar shortage may reach about 1.67 million tonnes this season. Sucralose had a total export quantity of 2,206,822 kg in the year 2016 till October. The average unit price has been 44.66 USD per kg, which resulted in the total value of exports with over 98 million USD. The trend of total value furthermore went up during the year, with a small drop in August. 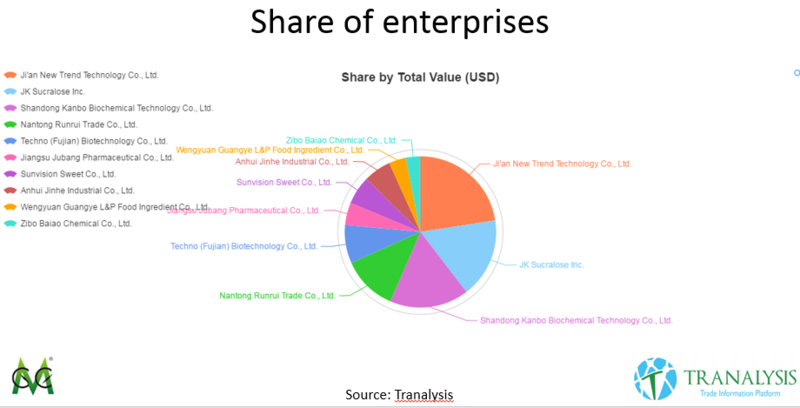 The top exporting enterprises of sucralose have been Ji an New Trend Technology, JK Sucralose, and Shandong Kanbo Biochemical Technology. While Ji an New Trend was the first place with some space to the second one regarding export value, JK Sucralose and Shandong Kanbo had a very even export value. Together the three leading enterprises were responsible for more than half of the whole export in China from Jan to Oct 2016. Looking at the share of the countries, it is obvious that the USA and Germany together important more than half of sucralose from China. The share of the other countries is much more even though. The three main exporting enterprises in China for Erythritol have been Sanyuan Biology, Baolingbao Biology, and Zhucheng Dongxiao. However, Sanyuan and Baolingbao have exported a much higher value than the third place Zhucheng. 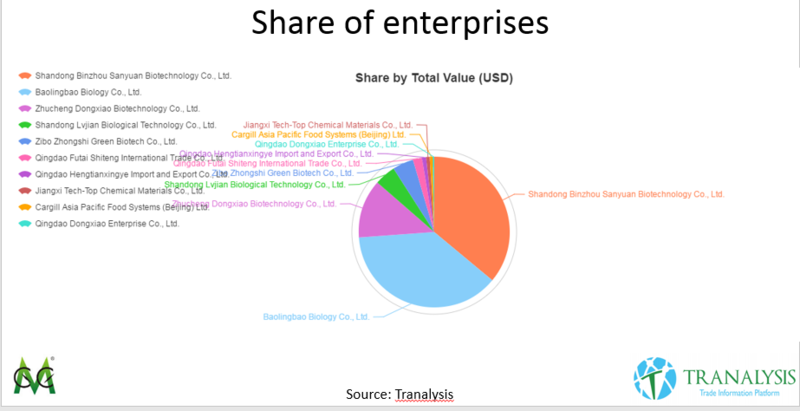 The share of the main two enterprises almost hitting the 75% of total exports, while the other companies did not show any greater appearance. 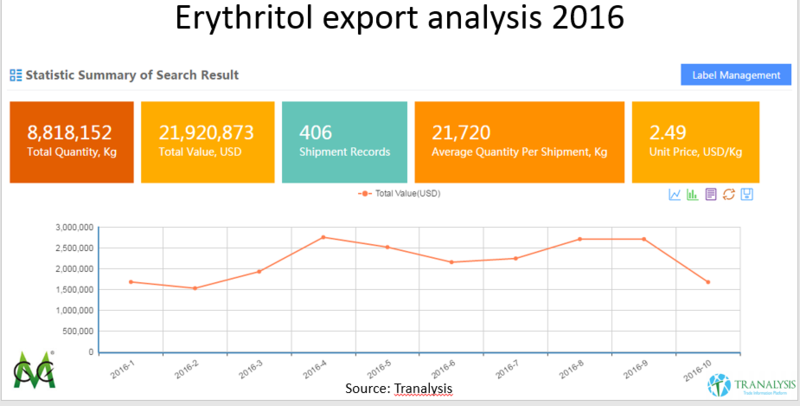 The biggest importing countries of Erythritol from China in 2016 till October have been countries, we already seen at the top of the other sweeteners, namely the USA, Germany and Japan. The import value of this sweetener is more balanced between several companies, while the USA is still top importer with quite a bit range to Germany. 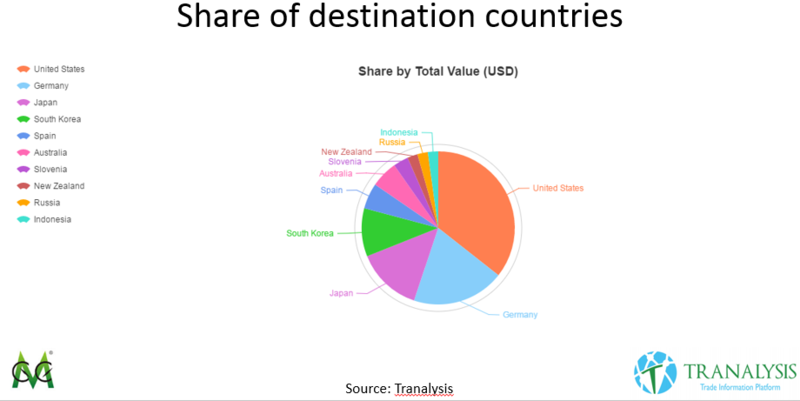 Again, the three main importers are responsible for about two-third of the total export value. 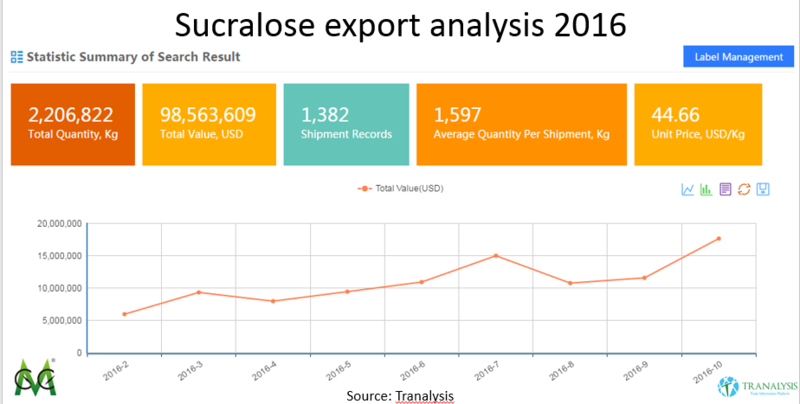 For a deeper trade analysis of any sweetener product in China, feel free to contact Tranalysis for a consult and customized report.